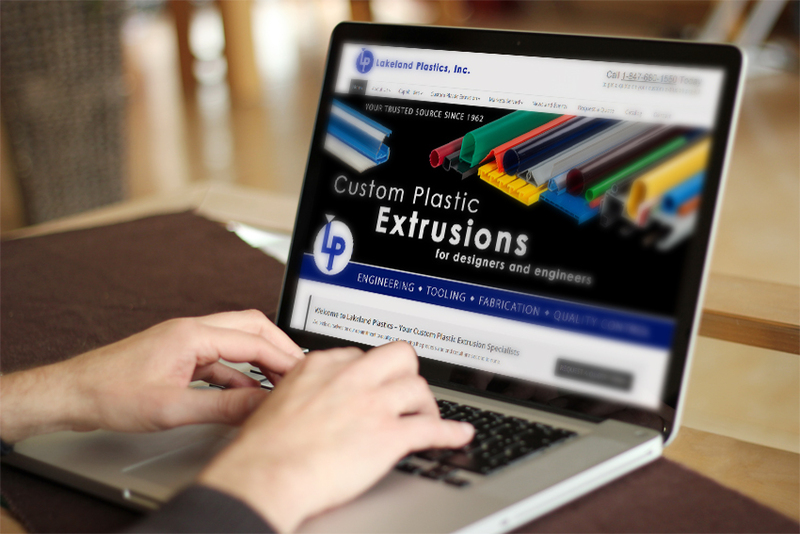 Mundelein, Illinois, December 23 — Lakeland Plastics, Inc., a manufacturer of custom plastic extrusions, officially launched its new website today at LakelandPlastics.com. With the new look and additional features of the Lakeland Plastics website, customers and prospects can quickly and easily find detailed information regarding the Company’s plastic extrusion capabilities, including design engineering, in-house tooling services, 3D printing, manufacturing, fabrication and finishing services. These additional sections of content help clients learn about the Company’s experience in custom plastic profile extrusion, plastic rod and tubing and crosshead extrusion coating as well as Lakeland’s expertise with complex multi material co-extrusion and tri-extrusion products. To expedite the quotation process, Lakeland Plastics also added a new “Request a Quote” page that allows clients to electronically submit a quotation request that includes detailed information about the project as well as the ability to upload a product sketch or technical drawings, material requirement, color specifications and any special instructions needed to quote a project. “The Request a Quote feature on our new website is just one of the many advancements that we have made to accelerate the quotation process in an effort to continue to provide our clients with top quality, precisely engineered custom plastic extrusion that are delivered on time and on budget.” said Arendt. Other new features include “Markets Served”, which outlines the Company’s extensive experience with custom plastic extrusion in a variety of different business sectors and “News & Events”, an online resource for articles, information and videos about the plastic extrusion industry and the technological advancements that are being made.